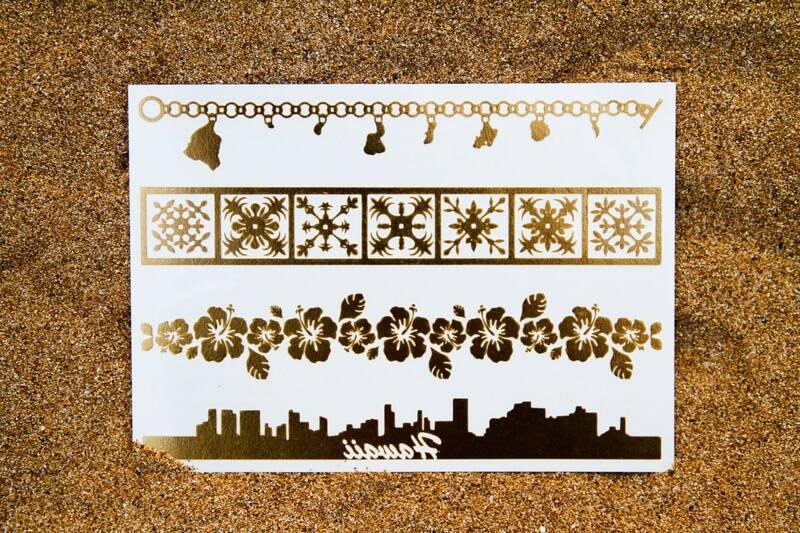 Designed here on Kauai, Hawaii this 5x7 sheets gives you so much glam! Please refer to main picture to see exactly what you will receive. Please note that the yellow and grey in main picture are gold and silver metallic. You will get 4 golden bands to put all over your body. 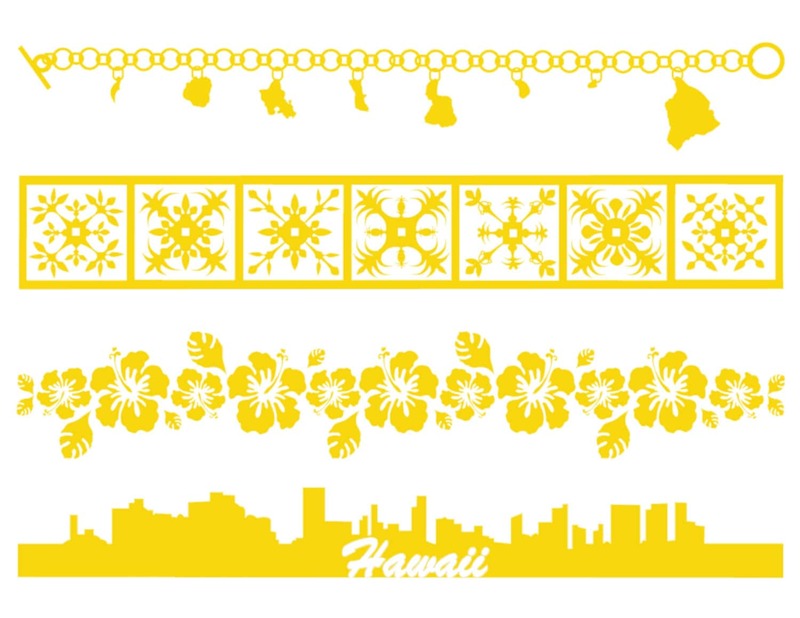 This includes our golden Hawaiian island charm band, our exclusive Hawaii quilt band, golden hibiscus band, and the awesome golden Honolulu skyline. They are super easy to use and always gets the WOW factor at any party or event. 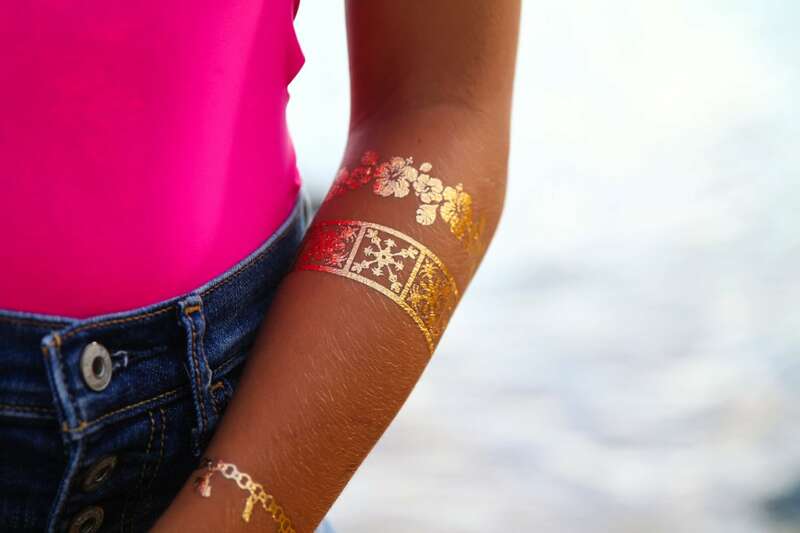 These temporary tattoos last 3-7 days depending on placement and skin type. Extremely fast shipping! literally less then 24hrs!